Every few months, my other half likes to lighten the load of things in our home. Since there are five members of our family, it is easy to accumulate a lot of items in a short amount of time. You know, shoes, toys and devices that we either outgrow or no longer use. When it comes time to part with these items, we want to quickly find a home for them. We have tried selling items a few different ways online, but it felt like a bit of a hassle and wanted to try something new. We did some searching and found VarageSale! 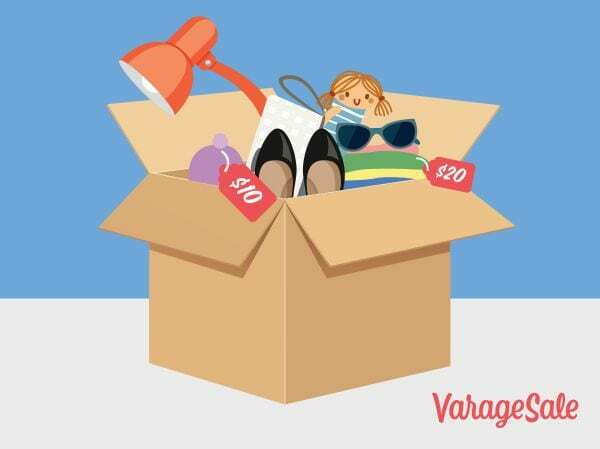 VarageSale is an online marketplace for people to buy, sell and connect with others within their community. It was founded by a former kindergarten teacher (Tami) who was buying and selling items locally on Facebook while pregnant with her son. Frustrated by her experience, she convinced her programmer husband to create a more user-friendly mobile app that offered a better user experience than existing classifieds sites or social networks. Today, VarageSale has more than 450 communities across North America. How does VarageSale work? Well, here are the easy steps for anyone to become a part of a VarageSale community. Sign up for VarageSale at www.varagesale.com – it’s free! Post an item for sale or browse the feed for great deals. Item categories range from baby clothing to home décor to devices and more! Private message a user to confirm transaction details, such as final price, pick up time and location. Users typically meet at someone’s house or in a public place to complete the transaction. View the profile of any buyer or seller to see their past history on VarageSale so you can decide where you will meet to complete your purchase or sale. If you had a great experience with another VarageSale member, let others know by posting how smooth your transaction went so future buyers and sellers can know what to expect. I guess you may be wondering why you should choose to use VarageSale to buy and sell your used items? One of the main reasons why VarageSale is a fabulous site for finding and purchasing used items is its social aspect. 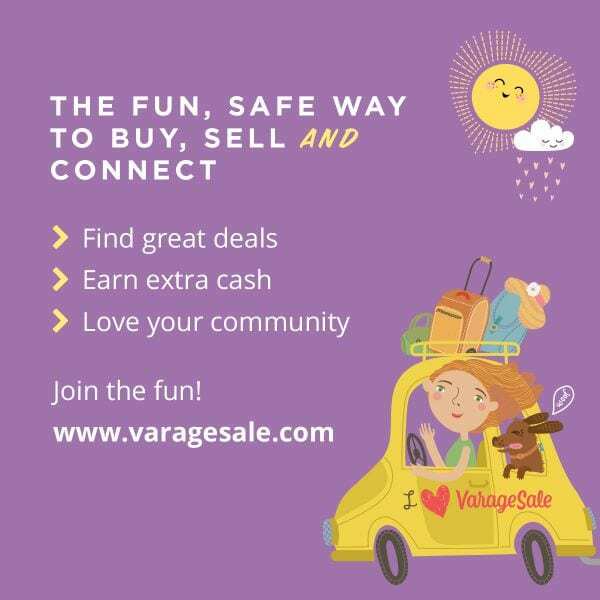 VarageSale brings people together by allowing them to interact with other people in their community when they are buying and selling their items like never before. People are also able to purchase items they have found for much lower than its retail price. Members are more comfortable making transactions with people that are in their community, and it is an easy site to use. Oh, and who doesn’t like making a few dollars from the items they no longer want to keep in their home? There are also Admins who moderate each local VarageSale community. Admins are on hand to make sure that each community runs smoothly and are ready to lend a hand should any members need it. Need another reason to try VarageSale? We’ve got an Ottawa Mommy Club readers exclusive! 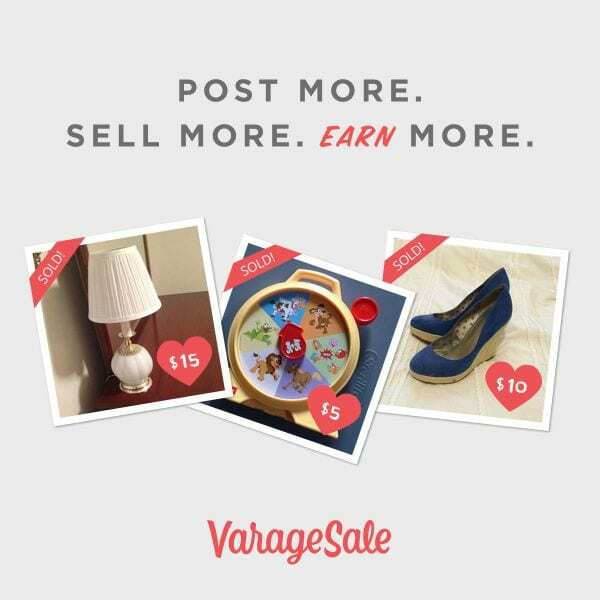 Join today, and if you’re a brand new user, when you post your first item for sale and use the hashtag #OMC in your item description, VarageSale will send you $20 cash! So what are you waiting for?! Visit their site or download the app today – they’re free! Want more information about VarageSale? You can connect with them on their website, Facebook, Twitter, Instagram or YouTube pages! Disclosure: This post was generously sponsored by VarageSale. Thank you for sharing this site! I will give it a try! Varagesale sounds like something I’d be interested in….thanks for the introduction! This is a site I could definitely look into using! I definitely want to look into using this website. Hi LDC! I would advise that you contact your Admin who moderates your specific local VarageSale community. They would be able to let you know how to receive this incentive. I hope this bit of information helps! I didn’t know it was available in so many communities across NA. I thought it was just for Ontario! Thanks for the info. I’ve never heard of this but you can bet I’ll be using this site really soon. Thanks for the information ! I had never heard of this site. I must check it out. I have never heard of this site but I am very interested and musty check it out.Tank you for the post.